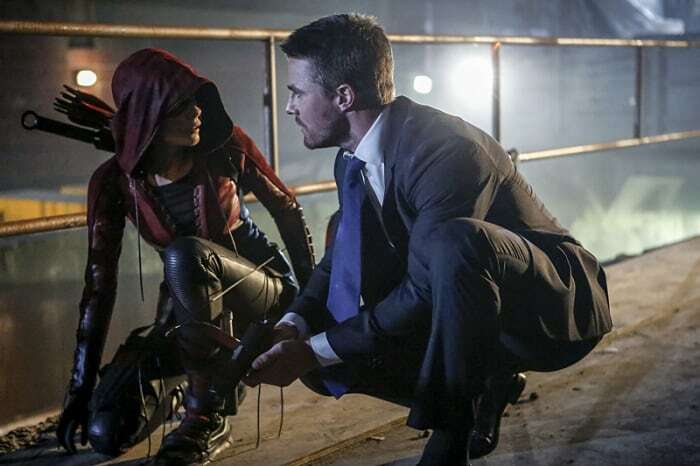 Arrow had a rough fourth season, as the Green Arrow faced one of his toughest challenges yet, with the terror of Damien Darhk who hurt Star City in more ways than one, including killing Laurel Lance a.k.a. the Black Canary. As Oliver tries to strengthen his city again, but this time as a mayor, new evil has invaded the Emerald Archer’s home. The premiere does indeed focus a lot on going back to the show’s roots with a more street level tone to it. 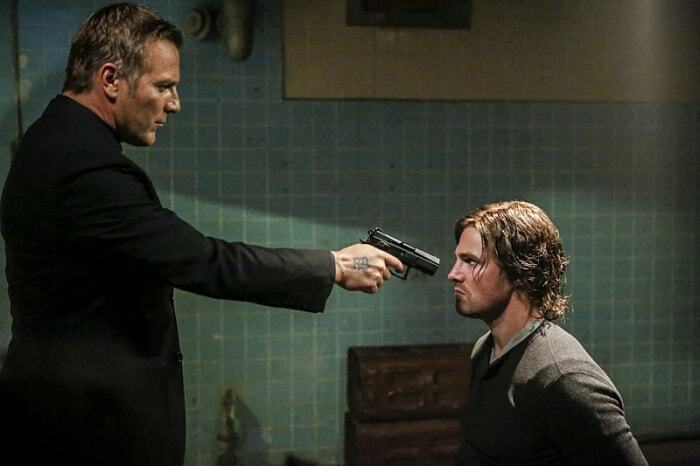 Even the flashbacks (now taking place in Russia) had a big callback to Season 1 while also beginning the final chapter of Oliver’s backstory in the flashbacks. I was quite impressed with the portrayal of Team Arrow’s current state as it felt very realistic, due to the events of Season 4. While it still hurts not seeing [the Earth-1] Laurel around, seeing how Oliver was so insisted on not going with a new team, made sense. The episode really lived up to the title “Legacy” as it focused heavily on how to honor it, whether it was honoring the Black Canary or the idea of this team still being a team. Quentin’s scenes were definitely the most difficult to watch because while many of them have healed a lot, he is still very broken. This was without doubt one of my favorite aspects of the entire premiere because it finally gave us a more hopeful Oliver that is sometimes rare to see on this series. Not only have I wanted to see an inspiring Oliver, but also the mayor aspect of this character as this is something that Ollie is known for in the comics. While you can tell that he is still learning, I’m looking forward to what they will be doing with this aspect of his character in Season 5. 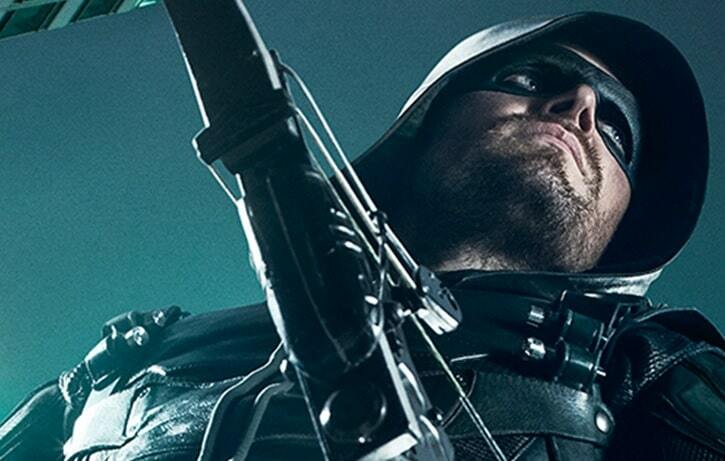 Hopefully it doesn’t just get dropped or mishandled because this is the perfect time to finally have Oliver truly establish himself as a figure while living his double life as Green Arrow. As someone who had almost enough of the flashbacks last season, I’m thrilled that the show has finally entered this stage in the flashback storytelling with Russia. Something that I was happy with this premiere was that the flashbacks didn’t feel inconsistent like last year. We had a good chunk of time with the flashbacks and it gave us enough information for one episode about that storyline. Also, how great was it to see Anatoly again? I hope he is in as many of these flashback episodes as possible because his wit and charm is definitely appreciated. It was also nice to get a callback with Robert’s list as we got references to several names that we have seen throughout the show’s run. Again, the wounds are still fresh from the controversial death of Laurel/Black Canary (even though we will see her again soon enough), but fans finally get to learn what her last wish to Oliver was, the night she passed away. “Don’t let me be the last Canary. That way, a part of me will always be out there with you” is something that got me extremely curious. 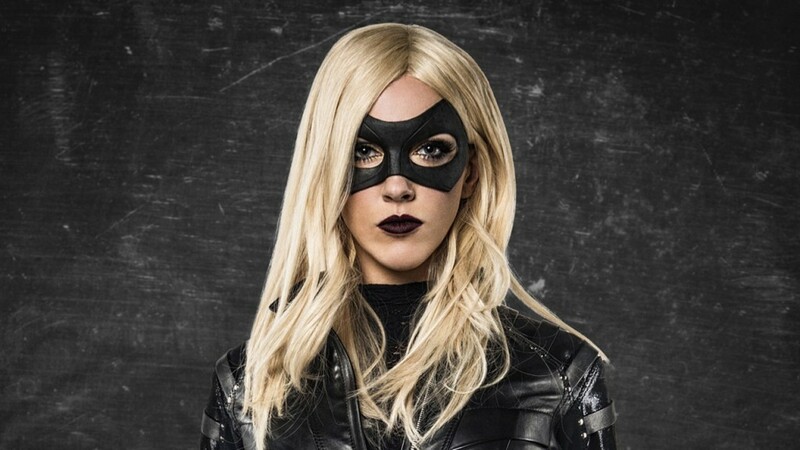 At this point and after how Laurel’s death was received, I don’t see the show passing the Black Canary title on to a completely different character. If anything (and this is what I believe they will do), is that some version of Laurel Lance, will at some point, take on that mantle. Laurel’s memory was also heavily focused upon in “Legacy” with Oliver honoring her as one of Star City’s heroes, which I appreciated. It all depends on what the writers do next with this, because it definitely feels that this is the beginning of something for Laurel (whichever version it is). 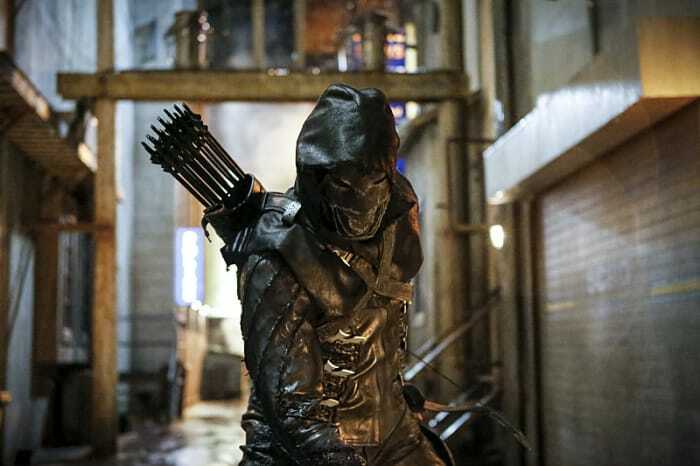 While Tobias Church’s introduction was alright, there was only one thing I was waiting for in this episode and that was the entrance of the new big bad for Arrow: Prometheus. Even though this isn’t the DC Comics version of the character, several thoughts were going around in my head as he entered. 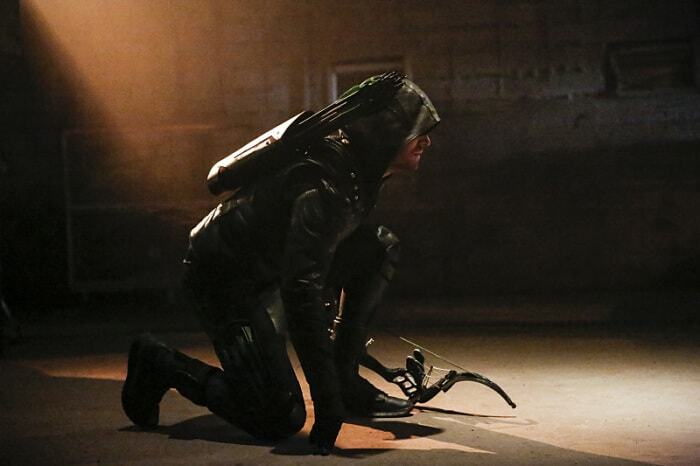 All we know so far about the new villain is that whoever is under that mask, it’s someone that Oliver was responsible for in creating. Whether The Flash’s Flashpoint will have any effect on Prometheus’ identity or not, remains to be seen. I’m excited though to explore more of this mystery throughout the new season. Verdict: While it still has a long way to go, “Legacy” was an incredibly solid premiere and strong opener to the fifth season. Given the episode title, I couldn’t be happier with the fact that James Bamford got to direct this episode as he is not just the excellent stunt coordinator of the show, but also someone who has been there from day 1 and knows this show in and out. I’m a sucker for fight scenes and given how this episode went back to being more street heavy, I really enjoyed the work that went into it. “Legacy” had a good pacing too from checking in with all the characters to the introduction of the new threats and challenges. Arrow Season 5 airs on Wednesday nights at 8/7c on The CW. Bamford should be Showrunner. He makes this show. After this season just give it to him.